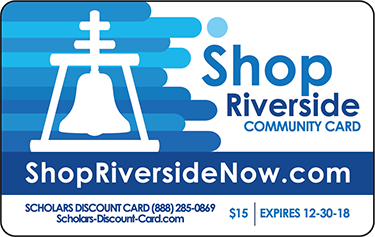 SmartRiverside has partnered with the City of Riverside so residents can purchase the ShopRiverside Community Card online for $15 to use for shopping discounts throughout the city. Shopping locally means that 1% of all taxable sales within the City returns to the general fund to support city services, such as police, fire, museum exhibits, youth programs, libraries and much more! Get your valuable discount card now by clicking on the card to the left! Your Shop Riverside Community Card will be mailed to you within 3-5 business days.